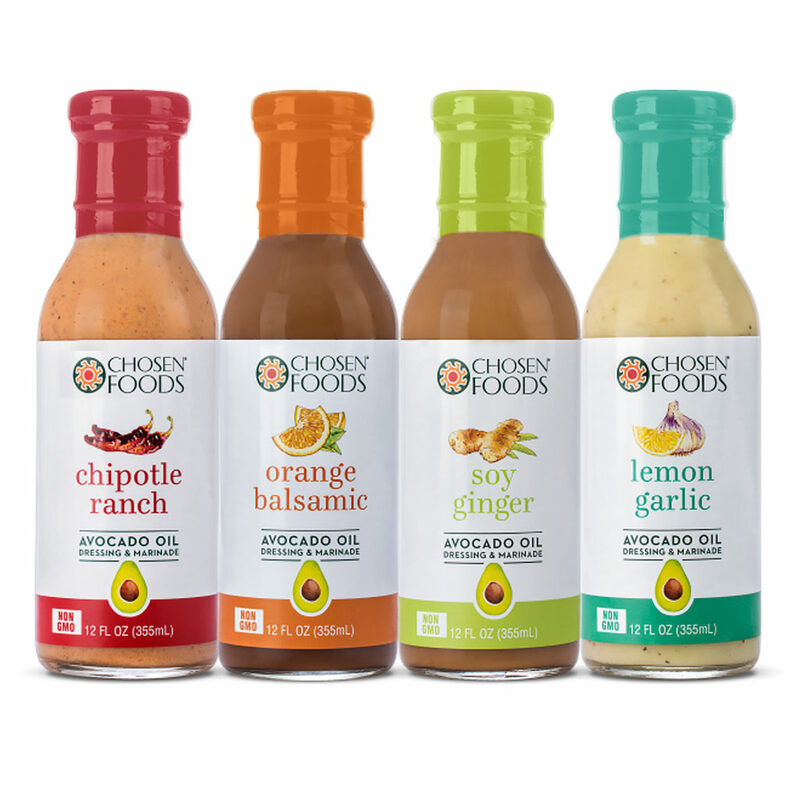 A new design for product labels of Chosen Foods salad dressing was created to highlight the various flavors. Focusing on an illustration style to be used across the salad dressing and marinade line, a watercolor illustrator was selected. The beautiful pencil and watercolor technique created the natural feel we wanted by adding color to the initial pencil sketch. For food, the packaging is often the only touch point a customer will see and form a first impression of your brand. A key goal of these designs was to stay true to the existing brand while featuring the flavors of this exciting new product extension. As the line expanded, the labels were color coded to emphasize the four flavors available; chipotle ranch, orange balsamic, soy ginger and lemon garlic. Package design is increasingly the difference maker in a consumer’s purchasing decision, and with food labels you are appealing to their desire for healthy, quality ingredients. Keeping the label clean and sparse allowed it to stand out on the shelf.